Ultra precision diamond machining enables the economical production of freeform optics on infrared materials such as silicon. To produce optics with acceptable surface integrity, it is important to have a good understanding of process-work material interaction between diamond tool and brittle and hard single crystal IR materials. Chamfered cutting edges are known to have high strength, which makes them suitable for machining difficult-to-cut materials. This study investigates the influence of chamfer angle on the surface integrity of silicon. Diamond tool chamfer angles of − 20°, − 30°, and − 45° are considered under practical diamond turning conditions of single crystal silicon. State-of-the-art techniques were used to investigate the surface integrity of the machined silicon surfaces. The results show that chamfer angle of 30° yields more favorable results compared to 20° and 45° under the conditions tested. The results indicate the complex interplay between tool geometry and process parameters in reaching an acceptable level of surface integrity. 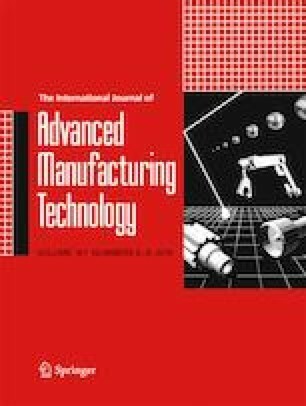 A machinability map indicating ductile and brittle machining conditions for 30° chamfered diamond tool has been presented which includes directly transferable knowledge to the precision machining industry. The author would like to thank the Ministry of Development of Turkey (HAMIT-Micro System Design and Manufacturing Research Centre). This work was financially supported by the Turkish Scientific and Technological Research Council of Turkey (TUBITAK) through project 115M699.